Safari has an anti-aliasing issue that’s been around for a LONG time and it seems everyone is content to use an ugly workaround. i’m just finishing up a site that makes use of the nice Wow.js & Animate.css combo. 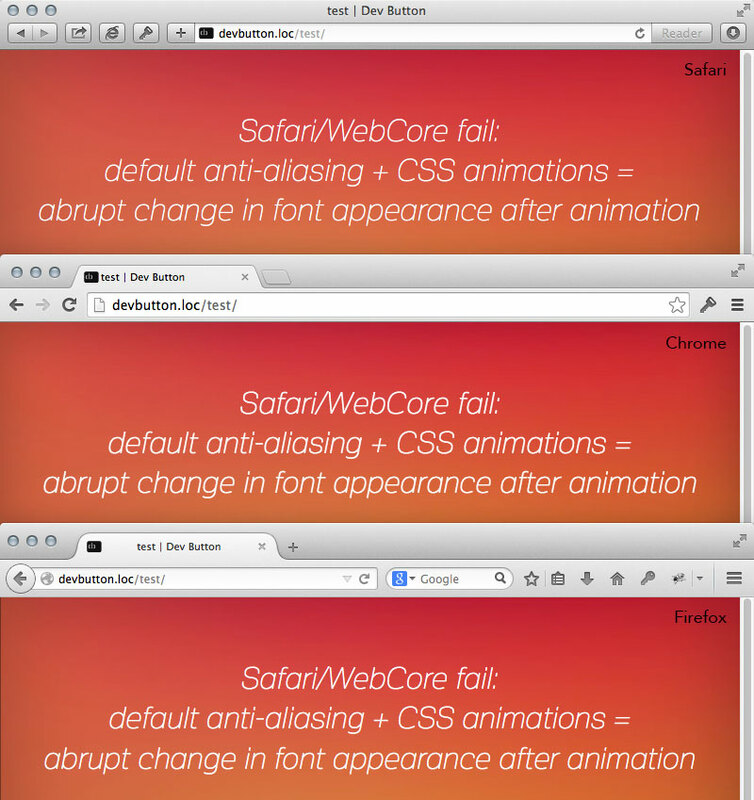 while doing final cross-browser checks i noticed Safari giving an abrupt change in text style as the fade-in finished.